Stand 1 Wetteren (Belgium) en 4th Field Squadron RE were involved in the capture of Wetteren Bridge which, in the absence of infantry was defended for two days in September against German attacks. It is an opportunity to break the journey at a location where sappers demonstrated that they were soldiers first in a troop level action. 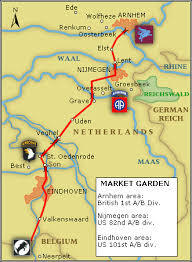 Follow the path of the 30 Corps as they sought to link up with the airborne troops landed on the bridges from Eindhoven to Arnhem. It is an opportunity to explore the role played by the engineers in this dramatic battle which focused on bridges and the tenuous route up which 30 Corps advanced. Joe’s Bridge We will start at De Groote Barrier bridge (Joe’s Bridge) over the Meuse Escuat Canal – captured intact by the Irish Guards and the part played by 615 Field Squadron RE. 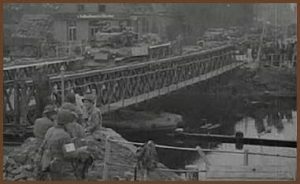 This bridge would carry the whole of 30th Corps and all of the engineering stores needed to bridge any demolished briodges and repair the route to Arnhem. This might be a good place to consider the logistics of engineering. 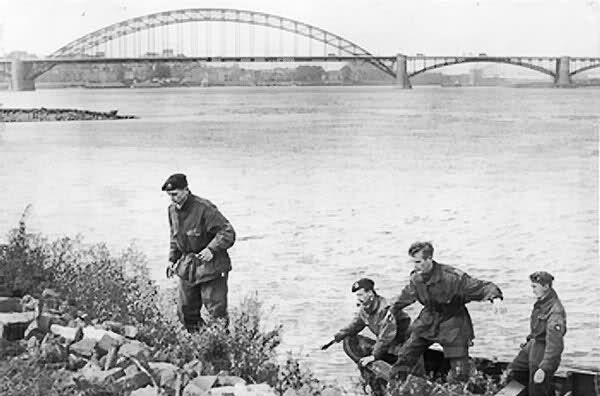 The Road and Rail bridges over the Waal at Nijmegen were prepared by the Germans for demolition. However the Germans did not demolish the bridges because they wanted to use them to transport their own armour to a counter attack the airborne corridor. When a troop of tanks of the Grenadier Guards ruched the bridge the Germans failed to demolish it. We can also find a location to discuss route improvement. Stand 6 Actions of 1 Para Engineer Squadron at the Arnhem bridge. 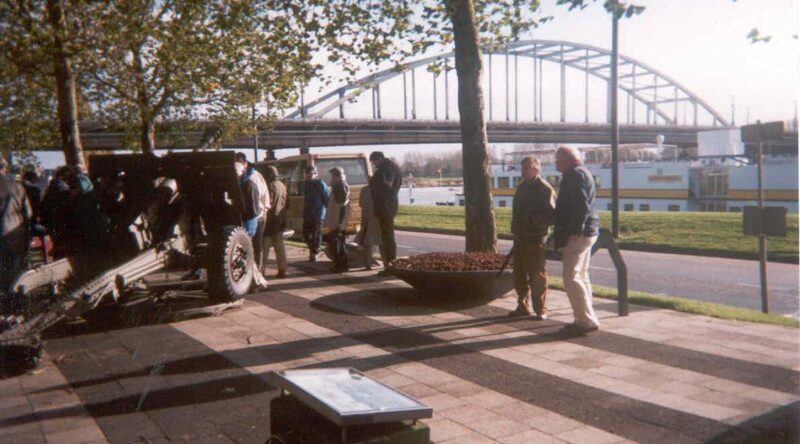 Stand 7 explores the actions of 4th Para Squadron who operated as infantry in the defence of the Osterbeek perimeter. 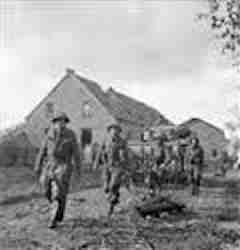 Stand 8 covers the river crossing launched by 43 Division to recover the survivors of 1st Airbiorne Division. 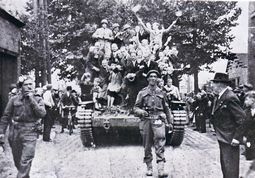 The battle of Overloon took place East of Eindhoven in early October 1944, after the end of Market Garden. Including this battle is an opportunity to look at mine clearance and the role of armoured engineers. 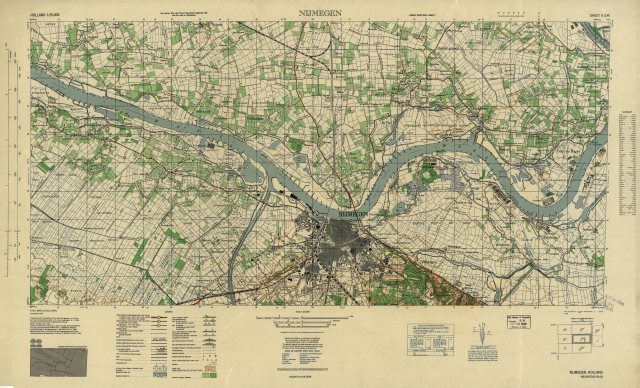 The Germans had laid extensive minefields on the their western border. There is a museum on the preserved battlefield of Overloon. This has a very extensive collection of military vehicles ,including Allied and german tanks knocked out during the battlefield. Some of these show the evidence of the effects of anti tank mines on tanks and armoured cars and British fatalities are buried in a Commonwealth War Cemetery a close by. After the museum visit we explore a series of stands looking at the challenges facing the 3rd Infantry Division in the woods and stream bisected fields between Overloon and Venrij and the way the tactical and engineering problems were tackled by engineers and armoured engineers. If wished we could extend the tour by a day to include Op Plunder the Rhine Crossing. This was a major opposed river crossing and is a chance to look at amphibious operations.